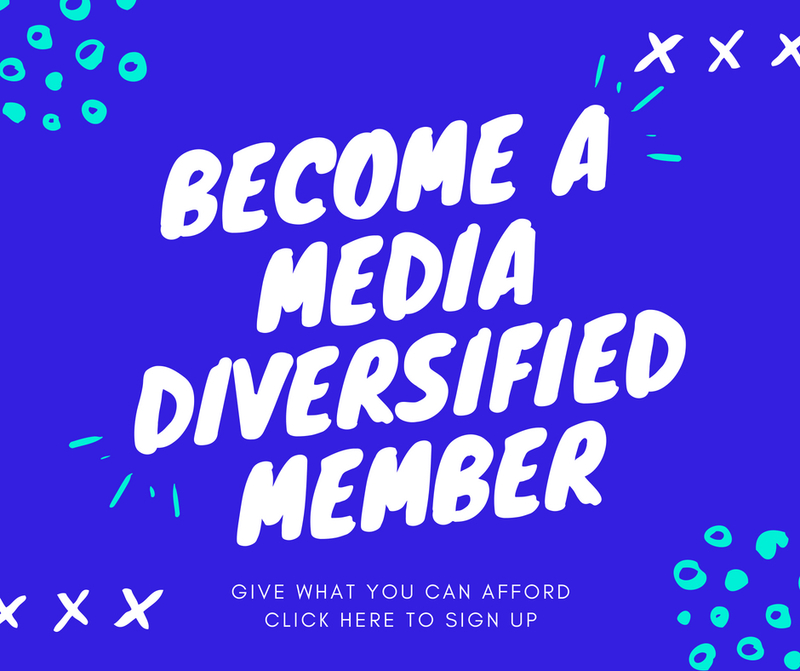 Last year Media Diversified published a Windrush series curated by Kiri Kankhwende, it was incisive, timely, (and will also be a book later this year to help fund MD pay more writers and editors). At the same time Amelia Gentleman, was winning awards for her expose of the Windrush ‘scandal’ and Gary Younge was writing righteous unmissable polemics in the Guardian. But I wonder today as news comes in from activists on the ground what was the point of all these words written? What was the point of the mea culpas from the government if 50 people can still get physically deported, despite all the articles written? How could there have been barely a ripple in the mainstream news agenda? We knew it was coming. Movement for Justice by any means told us quite plainly 6 days ago when they tweeted information about who had been detained ahead of today’s deportation. Today was also the day that the people popularly known as the Stansted 15 (see hashtag #Stansted15) were sentenced. Weeks of activism on their part and others and stellar support by their legal teams resulted in none of them going to jail. They did a great thing, however they were ably able to defend themselves complete with photoshoots in opinion pieces published by the Guardian. Many knew their names and even their faces. And the people they saved from deportation I have no doubt are eternally grateful. I don’t begrudge that they are going home today, back to the place they were at last night. However the 50 or so people who were deported today, the 50 black people of Jamaican descent, we know far less about them, we know a couple of their faces but we didn’t hear in their own words published by the mainstream media why they were detained by the UK home office. In fact when would they have had time to write for Comment is Free? They were arrested from their homes with no warning, detained and shipped off to immigration detention centres, the horrors of which have been detailed in numerous articles including on this site. “The home office said to me you can bring your children up by Skype. That’s totally outrageous. He added: “if people knew what was going on, there would be outrage. Owen Haisley has had his deportation temporarily halted. We await more news on him and others whose injunctions held. However there are many more including an ex soldier with PTSD, a man who has here since he was fourteen – his crime, a driving offence whose fate we are waiting to hear about. The expose by The London Economic was to no avail for them. Nor was the work of Rebecca Omonira-Oyekanmi who wrote for Open democracy that last year six people died in or shortly after transfer from immigration lock-up. Including Carlington Spencer who was held at Morton Hall, died aged 38. Note two of the people due to be deported today had witnessed his last moments. The work of BARAC UK and Movement for Justice who overnight live tweeted what they could from those they were in contact with amongst the deportees is essential. When they tweeted how one man had tried to end his own life, it nearly broke me. Just before they lost contact with the 50 people which includes two women they tweeted a screen shot with detailed statistics of the people who were to board the flight, it included the fact that ten people had never been to Jamaica before and 36 British children were about to have their fathers ripped away from them. One was born in Britain and holds a British passport. BARAC UK, who had been instrumental in fighting for their legal rights tweeted a video of the flight departing and our the last view of the deportees. But it should be noted that before the flight took off, even those with injunctions stopping them from being put on the flight had been chained to security guards and transferred to the airport. I can’t thank these two groups and everyone who has been fighting for this to be stopped enough. You should thank them to by following their work, donating when they need it and turning up to the demonstrations when they ask. At the same time we have to address Birthright citizenship. The Independent’s May Bulman has been one of the few journalists working in the media who has dug in to the stories of everyone who is being targeted by the Home Office, beyond descendants of the Windrush generation. One case amongst many she has investigated has stayed with me, that of Dean Ablakwa, a former NHS nurse of Ghanaian descent like me, born in the UK, like me. His parents died in a car crash when he was 5, he has no criminal record, was in a secure job, paid taxes and was caught in the Draconian Home Office bureaucracy that allows for little to no clemency if you don’t have the right documentation. To this day he remains stateless, staying on a friend of a friends sofa, with no bank account or job in Accra as he is not Ghanaian and the home office is denying he is British. While Trump mulls over an end to Birthright citizenship in the USA, this has been a fact of life in the UK since the Thatcher government ended it here taking effect for those born after 1st January 1983. People born after that date are only automatically British citizens if at least one of their parents lived permanently in the UK when they were born and was a British citizen or ‘settled’ in the UK when they were born (settled includes “indefinite leave to remain” or “permanent residence status”. Thirteen years of a Labour government did nothing to amend these rules, and many British born people have unwittingly found themselves on the wrong side of them. This includes Irene Kaali, 24, who was born in Bradford and has lived in the UK all her life but has had her application for British citizenship “failed” because her parents did not have indefinite leave to remain at the time of her birth. While the media reported extensively on the £65 charge for EU migrants to achieve settled status post Brexit which was later scrapped, there’s precious little outrage over the many thousands of pounds it may take UK born people such as Irene to achieve the same status. There are more stories like this. But a million words would not be enough to stop anything like this happening again, return those who have been deported and compensate them, if there is no political will to do it. I have little belief in politicians to do the right thing, decades of politicking have made them self serving at best and needlessly cruel whilst pandering to the racists in this country at worst. However I do feel people can be made to act in others interests if they somehow chime with their own. What that looks like is media pressure. No minister wants days and days and weeks of critical reporting on their actions, mainly in fear that what remains private for now may also become public. They don’t want the paper of record to scream RESIGN! on their front page with a hangdog picture of them looking shifty below. So whilst the activists are on the ground doing the life saving essential work supported hopefully by lawyers, the media have to up their game. Sajid Javid like Amber Rudd and Theresa May, must be called to task to answer for this. Not after the fact, but BEFORE people are deported. And the only reason the press won’t do this is if they think black lives matter less than others. If they think it better to report after deportees have landed in Jamaica, then they have truly lost the plot. So I guess yes, unlike what I indicated despairingly earlier, words do matter. It’s how I found out about the unjust treatment and targeting of Dean Ablakwa by the Home Office after all. However, actions matter more. Although anyone of overseas heritage will end up facing these problems when they interact with the state, I have noticed that people who are non-white, or have foreign-sounding names, tend to get picked up more readily by the system, because they have a characteristic that makes them visibly different. Let’s face it, most white people aren’t going to be asked for evidence of their right to live here or use services. But if they were, how many could actually prove they do have that right? Not everyone has the right documentation, including many whose families have been in Britain for centuries.